LandLAB are pleased to have 2 projects as finalists in the 2018 Best Awards - the Avon River Park 'Literature Trail' in the Environmental Graphics category (with the super Neil Pardington), and; 'Nga Whariki' (with the amazing Reihana Parata, Morehu Flutey-Henare and Wayne Youle) in the Nga Aho category - both for Otakaro (Martin Trusttum + Peter Matthews). These projects have been defined by Ngāi Tahu principles “Kia atawhai ki te iwi, Be kind to your people” welcoming citizens back in to the recreated city, and; “Unu tai, which waters are you from?” that embrace the river as a way to reinforce place and identity. The 'Literature Trail' integrates a series of text based works, in dialogue with the Ōtākaro, within the new public realm, promenade and terraces that frame the river. The selection of words and thier detailed execution articulates shared histories and ampifies relationships between the river and city. In alternating frequency with literature pieces, the ‘Ngā Whāriki’ are allegorical weaving mats, translated into stone and settled within the river bank at locations that intersecting with specific stories, narratives and points of interest. Their position upon the bank varies, as if deposited by the Ōtākaro in flood. Each pattern illustrates different stories and ideals, originating with master weavers Reihana Parata and Morehu Flutey-Henare, and iteratively translated into digital drawings with artist/graphic designer Wayne Youle. Effectively a visual language system, the patterns can be read longitudinally as a stacking of layers which communicate a specific narrative. Laterally, the pattern can be extended by modules described as ‘hono’ - meaning “to join, connect, splice and weave to make a longer mat”. LandLAB are excited to have 3 projects shortlisted in the 2018 World Architecture Festival (WAF). The shortlisted projects are our competition winning PARK+ scheme for 254 Ponsonby Road for Auckland Council, Island (Motutere) a floating activation structure proposed for Auckland's waterfront for Viaduct Harbour and our recently completed Queenstown Town Centre Masterplan for Queenstown Lakes District Council. The Queenstown Town Centre Masterplan has been endorsed by Queenstown Lakes District Council. The strategy provides the opportunity for Queenstown to re-consider and re-imagine itself as ‘New Zealand’s coolest little city’. This exciting, people focussed, design-led proposition includes retention of its key landscape character, dense and human-scaled historic centre, vibrant mixed-use character and the addition of new sustainable transport options, internationally recognised events and celebrations, and authentic community and cultural experiences. Queenstown’s town centre has a distinct character which is formed through interrelationships of complex qualities: the scale and form of many of the buildings, the pattern and rhythm of the buildings in the streetscape, the layout of the streets and pedestrian linkages, the relationship with the lake and the mountains, and the comfort of the town centre as a place for workers, residents and visitors. The project's vision is to ‘re-connect the Town Centre of Queenstown with the spirit of the place and community’. The master plan development and process reflects a synthesis of feedback provided by a highly creative community and stakeholder engagement strategy and a collaborative, place-based and design-led process. In collaboration with BECA, Rationale and Assembly. LandLAB_ have worked with JASMAX, JACOBS, ARUP and Auckland Transport to develop a reference design for Aucklands proposed Light Rail network running between SH20 and the Wynyard Quarter via Dominion Road and a pedestrianised Queen Street. LandLAB role has led the projects public realm responses and integration that unlocks the potential of . The project enables the enhancement of the city centre's streetscape amenity and improved walking and cycling provision whilst releasing the strategic potential of the Queen Street valley as a pedestrian priority precinct as proposed by Auckland Council's City Centre Masterplan CCMP (2012) and LRT on Dominion Road provides a catalyst for intensification of the 'city to airport' corridor. 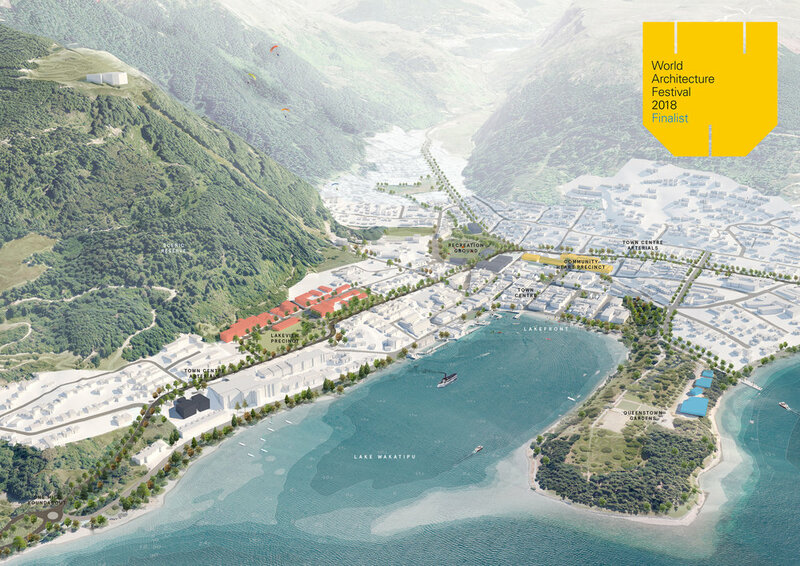 LandLAB have led the development of design strategy for Whanganui's river port. 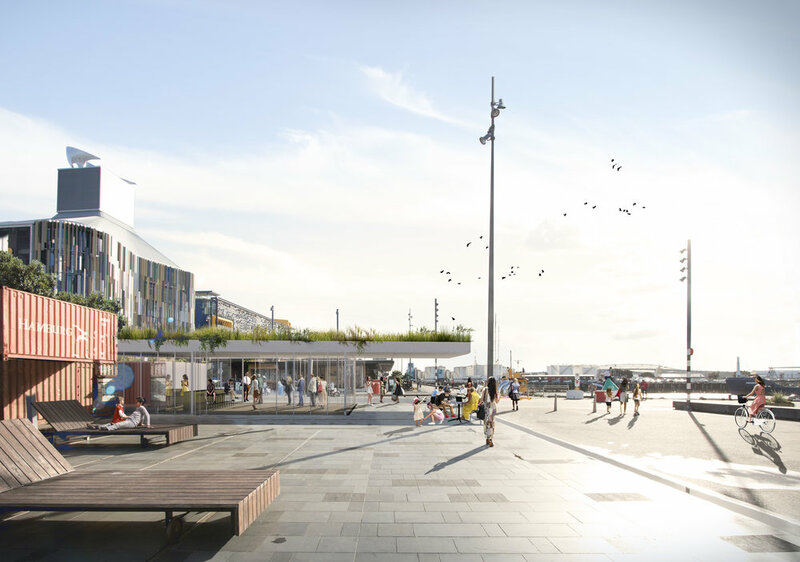 Our design-led plan re-establishes the former working waterfront as a focal point of the local community. It establishes a new marine precinct as a catalyst for regeneration and supports this with the re-occupation and reactivation of key character wharf structures to establish a new public access and occupation of the waters edge. Developed in collaboration with Vapour and Wardale Ltd.
LandLAB director Henry Crothers was invited to judge the Landscape category alongside Charles Jenks and Robert Schaeffer (formerly Topos Magazine) at the World Architecture Festival (WAF) 2017 held in Berlin, Germany in November. Concept for a waterfront pavilion... flexible adaptable space, transparency, green roof , sustainable energy, water recycling. LandLAB are working with Panuku Development Auckland to develop the second phase of the Westhaven Promenade which will complete the 2km walkway between Auckland Harbour Bridge and Wynyard Quarter. LandLAB are excited to be working with our project partners BECA and MRCagney and the K Road community on the detailed design phase of the Karangahape Road streetscape upgrade. Due for completion in late 2018. Phase One of Tauranga's waterfront transformation was recenty opened. The new tidal stairs, pier and promenade provide a genuine opportunity to re-engage with the harbour and activation of the city centre. Pleased to receive 2017 NZILA Awards for Te Ara I Whiti - LightPath (with Monk McKenzie) and Westhaven Promenade (with Architectus and Aspect) in the Infrastructure and Urban Spaces categories respectively. Thanks to our collaborators, clients and the NZILA. Pleased that our PARK+ scheme for the 254 Ponsonby Road competition has been selected as the winner by the Ponsonby community. Thanks to the 254 Ponsonby Road project team for running a unique community led engagement process. We look forward to working with the Waitemata Local Board and Panuku to develop the scheme. LandLAB are delighted to be working with Queenstown Lakes District Council and our partners BECA on a new city centre masterplan that will guide the evolution of Queenstown, New Zealand's best little city. LandLAB are working with Ngati Paoa to develop a place based design framework for the Te Whanake headland at Point England. The project embraces green infrastructure, ecological and landscape drivers as a catalyst for a new coastal community of 500 dwellings. and sense of place of Ponsonby. PARK+ weaves together the street (urban) and park (green) to re- program the site through the fluid interaction of open space, architecture, community and place. PARK+ embodies Ponsonby through innovative remediation, storm water filtration/re-use, sustainable energy generation, rich materiality, design excellence and creative place making that demonstrates best practice in environmental, cultural and social sustainability. The first stage of the Avon River Park project in Christchurch - the Terraces - is now open. The project includes the creation of a new city edge sshared space promenade that will eventual extend along 2km of the city centre riverfront, the refurbishment of the Bridge of Remembrance, a refresh of the Park of Remembrance (west bank) and the creation of new rivers edge terraces that invite access and occupation of the river bank. 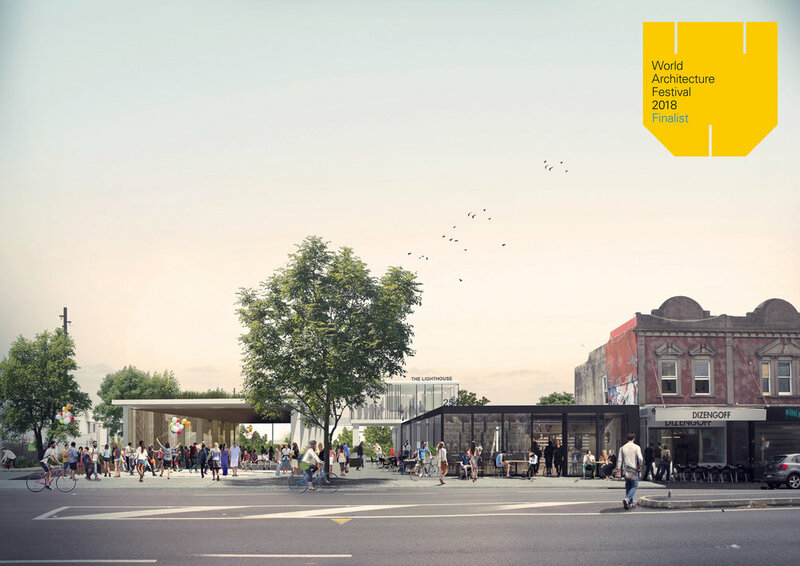 LandLAB have prepared a concept design for the Karangahape Road that re-distributes space to balance the evolving needs of pedestrians, cyclists and public transport at the heart of this urban and creative Precinct. 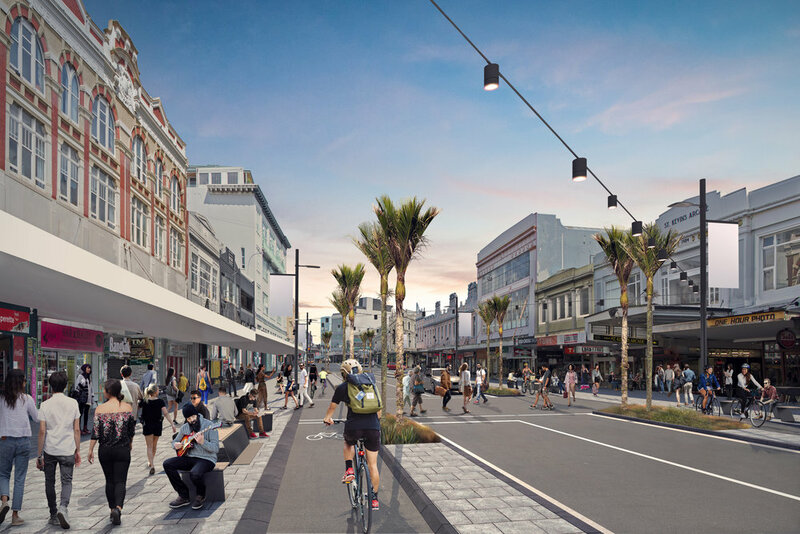 The design proposal introduces cycle lanes - as part of the Auckland Cycle Network - pedestrian priority and public realm amenity that reveals the its historical function as a ridge line pathway, meeting place and destination. A tactical urbanism methodology enables staged implementation in co-ordination with adjacent transport infrastructure projects. The strong place function of the Pitt - Queen Street block is reinforced with a slower speed, shared surface design strategy that will enable flexible occupation. Lightpath transforms a redundant piece of motorway infrastructure into a playful and sculptural piece of cycling infrastructure threaded through Auckland’s inner city motorway junction. The design creates a hybrid space that supports its intended function as a cycle path but also enables exploration, discovery and occupation. The path enables a journey and episodic experience that engages with both the infrastructural landscape of the motorway and contextual views of the wider landscape. Three hundred individual LED light poles controlled by sensors are arranged as a spine down the city side of the path creating a living and breathing interactive urban light sculpture that responds to varying patterns and intensities of user movement. 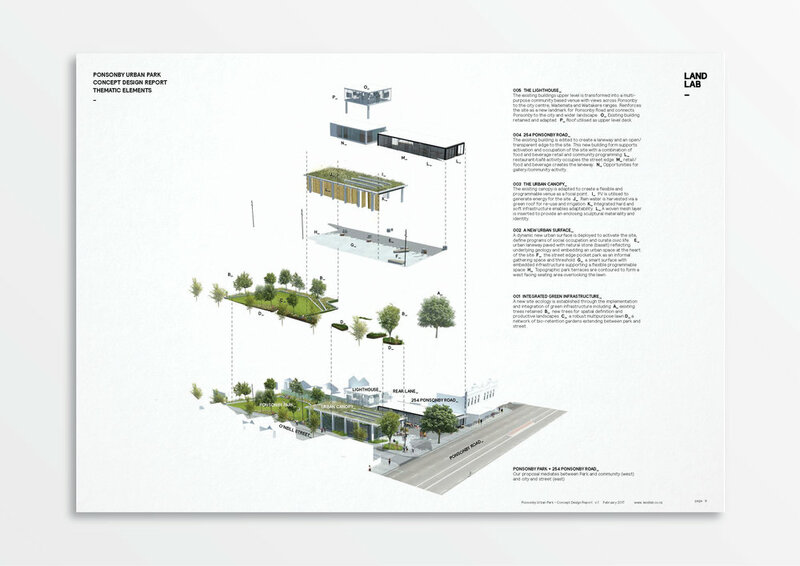 LandLAB have developed a framework to guide the redevelopment of Tauranga's urban waterfront. Phase One of the 'Access to Water' project establishes a new blue room at the intersection of the cities east-west 'civic' and north-south 'waterfront' axis. This room is defined by the re-establishement of a Town Wharf, a new sculptural tidal stair and recreational pier. These interventions collectively re-define the Town Wharf as the focal point for waters edge activity and enable the city to physically and symbolically re-connect and re-engage with its waterfront.